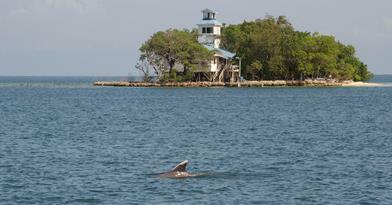 The Port Honduras Marine Reserve (PHMR) is a national protected marine reserve in the Toledo district of Belize. It covers 40,470 hectares (100,000 acres) of mangrove and coastal ecosystems, and encompasses over one hundred small, mangrove-­fringed cayes, benthic habitats comprising soft-bottom seagrass beds and fringing reefs. A local nongovernmental organization, the Toledo Institute for Development and Environment (TIDE) employs rangers that carry out management and enforcement throughout the reserve, and until recently, had also been primarily responsible for monitoring in the reserve. However, the large area and limited staff resources made monitoring and effective enforcement difficult. The other main challenge is that of building support for the MPA and fisheries regulations among stakeholders. Until the Port Honduras Marine Reserve was founded in 2000 and TIDE and the Fisheries Department began to enforce regulations, local fishers were unaccustomed to being regulated. Fish stocks were, and still are, in a relatively healthy state, making it difficult to convince fishers that regulation is needed. In particular, the ban of gill nets in the reserve is perceived as having had a negative economic impact, increasing conflicts and hindering efforts to build stewardship. With the logistical challenge of monitoring fisheries, endangered species, ecosystem health and water quality over 100,000 acres of water in the Port Honduras Marine Reserve, TIDE began the Community Researcher Program. Through this program, TIDE has trained 15 young people from PHMR’s buffer communities (five per year for three years) to SCUBA dive and conduct environmental monitoring, then employed the best performers to conduct monitoring in PHMR on an on-going basis. Collection of fish otoliths and observation of gut contents and gonad development. Basic environmental science, including basic coral reef ecology, land-sea interconnectivity and the impact of human activities. Building Stewardship: The initiative has excelled at building passion for conservation in the young participants. Community researcher Willie Caal was studying to be a primary school teacher when he joined. Within six months, he had switched to natural resource management and is excited about a career in conservation. “Being a community researcher can actually change your life. It changed me because I got more chance[s] to be in the ocean. I’m now more interested in conservation, in protecting the environment.” Community researcher Alana Barillas put it this way, “it makes you appreciate the environment more. It makes you see what’s really happening. [For example,] you see what is affecting the sea grass and the benefits that sea grass brings in terms of the nursery and controlling sedimentation. Knowing that makes you want to cherish it.” Those community researchers who are also fishers say they have improved their practices. “I have more commitment to practicing the right things that will benefit the environment,” said one. The impacts don’t end with the community researchers – they are rippling through the wider community. Fishers now have more confidence in the use of scientific research as a basis for reserve management. One recently commented that he believes TIDE’s research results because his own daughter is involved in the data collection. “I come from a fishing family,” says Willie Caal. “My family loves to see me working in this kind of field. They ask me about the abundance of conch and lobster in the sea. I tell them they are more abundant in the conservation zones and they are reproducing there.” The community researchers are ambassadors for conservation and sustainable management. They communicate with resource-users about human impacts on ecosystems in a way they understand, creating deeper understanding and building stewardship. Fishers are starting to buy in to the idea that resource management is something that should be done by the community, for the community. Building capacity for conservation: The program has increased TIDE’s research and monitoring capacity greatly by enabling the survey of more sites more often and to a higher standard than before. It is also providing trained personnel for other organizations. For example, our community researchers have done monitoring work for the Healthy Reefs Initiative and collaborated on projects with Blue Ventures and the University of Belize. Employment opportunities outside of fishing: TIDE is employing up to ten community researchers on a part-time basis. 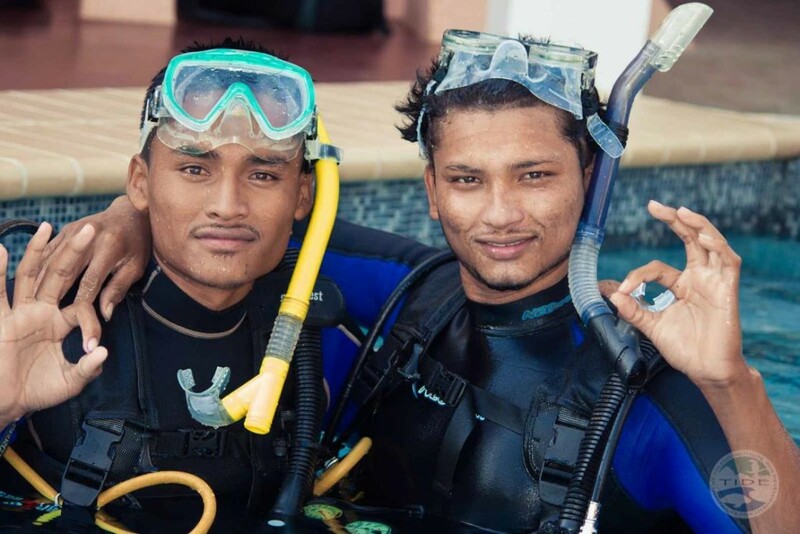 Furthermore, the training is enabling participants to find good salaried positions, for instance in the Belize Coast Guard and at a local dive resort. Over the coming years, we expect more to find jobs with the University of Belize, Fisheries Department and NGOs around the country. Personal development: The program has created an exciting environment in TIDE’s research and monitoring department. Community researchers are exposed to exciting projects and interact with international volunteers. They like working alongside likeminded people passionate about the environment. With the initial group of community researchers, it was very difficult to get them to do anything without paying them. Now, most of them volunteer for extra duties because they care about the work and the research results, they want to gain experience and they enjoy the work. 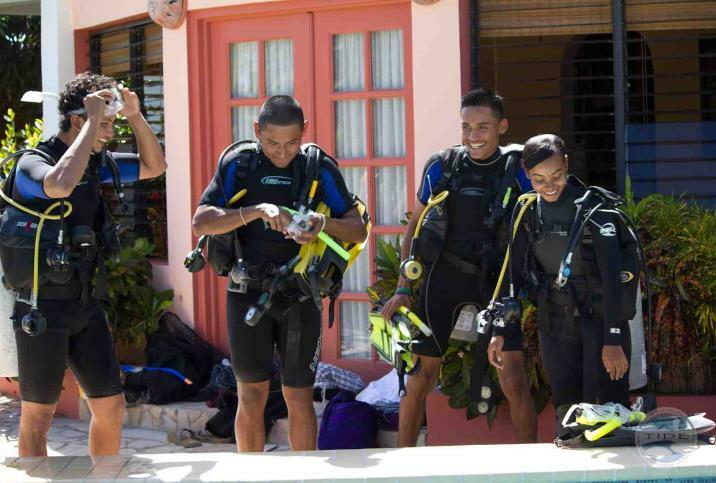 A Level 2 TIDE Community Researcher course is being planned, in which participants will be trained in ecology, basic data analysis, laboratory techniques and communications skills and receive PADI Advanced Open Water Diver certification. Next steps also include having the community researchers talk at schools about life as a community researcher and what it means to protect the environment. 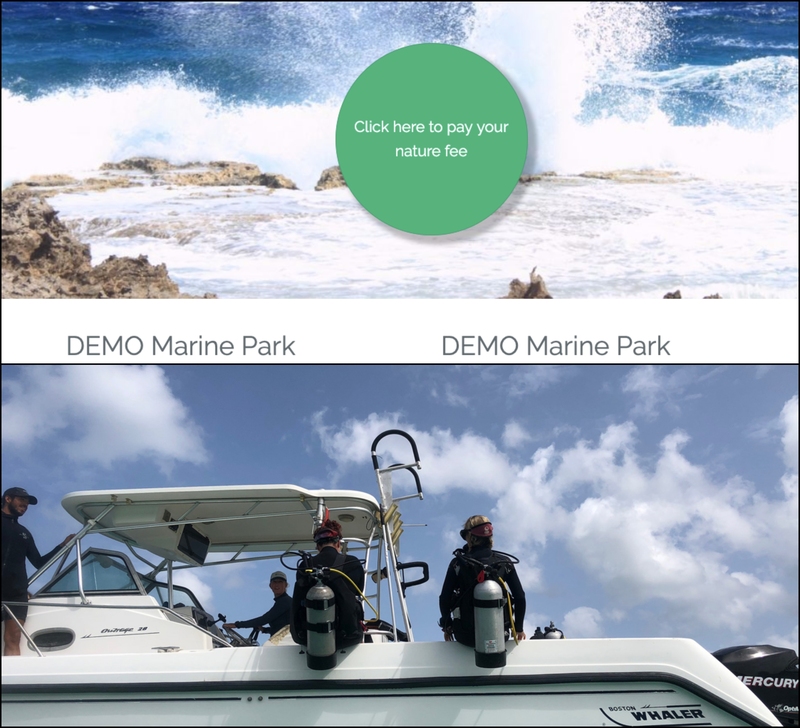 They will also receive media training and act as spokespeople to help build reef stewardship across Belize. Put due effort into training: As with selecting the right participants, this is key. Get the training right and everything that follows will be easier. ‘Continual reinforcement’ is used throughout the training. Provide handouts to avoid note-taking and enable trainees to listen. Most importantly, make the trainees learn by doing. The best way to learn anything is to do it and practical, hands-on training works best for most people. Allow the trainees plenty of time to practice techniques under supervision and be prepared to throw out your initial data as practice runs. Even classroom lessons can be interactive – don’t just state facts, get them to discover concepts for themselves by asking them the right questions. Save yourself time and resources by using teaching resources from organizations: Find out what monitoring methods other organizations in your area are using. Standardize methods with them and see what they can offer in terms of training – they may be able to provide methods training or at least materials. For example, TIDE’s coral health monitoring methods and protocol for monitoring mangrove productivity were taken straight from the Mesoamerican Barrier Reef Survey manual. 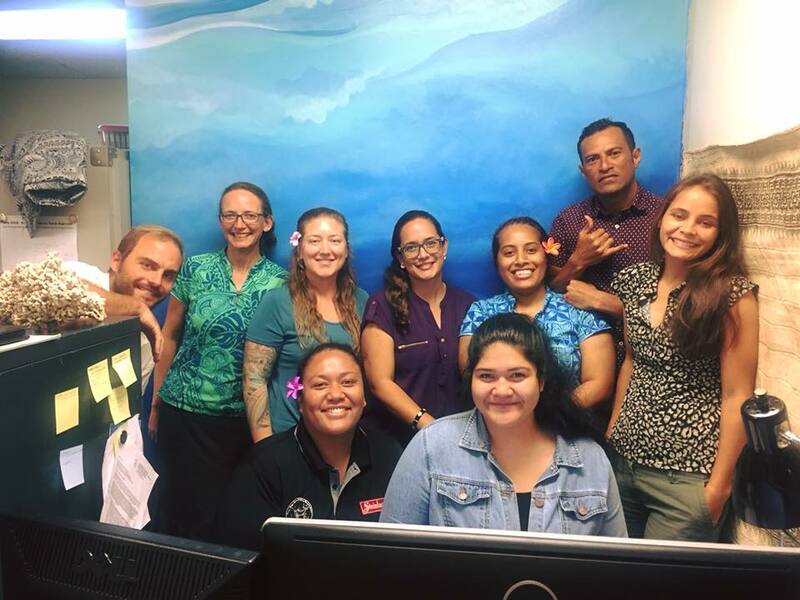 The Healthy Reefs Initiative has training materials for the AGGRA method and ECOMAR provides training and materials for turtle nest monitoring. Quality control mechanisms are necessary: To ensure a high quality of data collection and management, quality control checks must be performed at multiple stages. Trainees must pass theoretical and practical exams to qualify as TIDE community researchers and all research and monitoring activities are carried out under the supervision of an experienced marine biologist. The supervisor performs duplicate measurements alongside the community researcher on the first occasion that they use each technique and at random intervals thereafter. Any discrepancies between the results are discussed and problems resolved. All data entry is double-checked and there is an accountability trail for all data (the names of the people who collected, input and checked the data are recorded). Only community researchers who demonstrate competence and reliability continue to be employed. Ensure high safety standards: Clearly an accident could undo a lot of your good work and so health and safety must be maintained. TIDE’s community researchers are insured for diving (the cost is shared) and they receive training in emergency first response and practice implementing an emergency action plan. The research vessel is equipped with an O2 kit and first aid kit and TIDE ensures that a rescue diver is present on all monitoring trips involving diving and insists that community researchers submit their dive logs before they can get paid. This case study was adapted from: Toledo Institute for Development and Environment (TIDE) 2015. Reef stewardship in Belize: TIDE community researcher program. 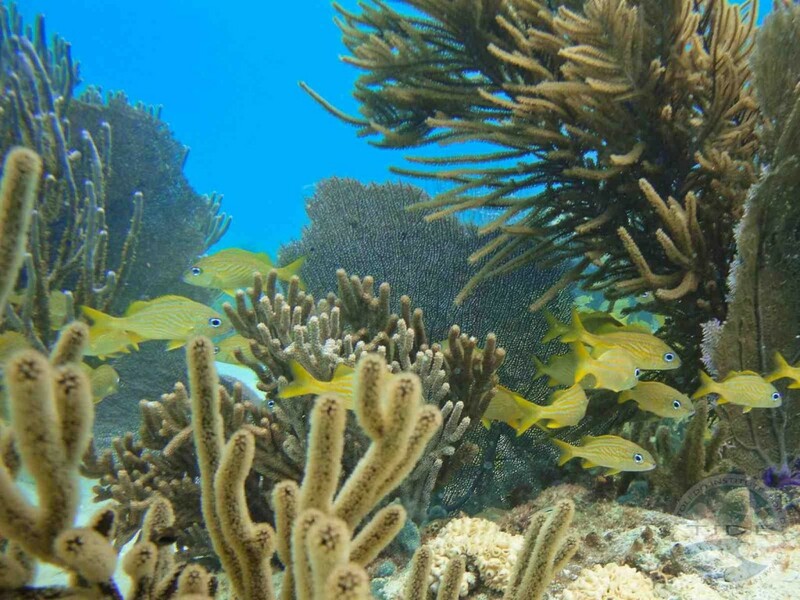 A case study developed for the Australian Caribbean Coral Reef Collaboration.